It’s that time of the year when all I want to do is eat fresh vegetables and salads. 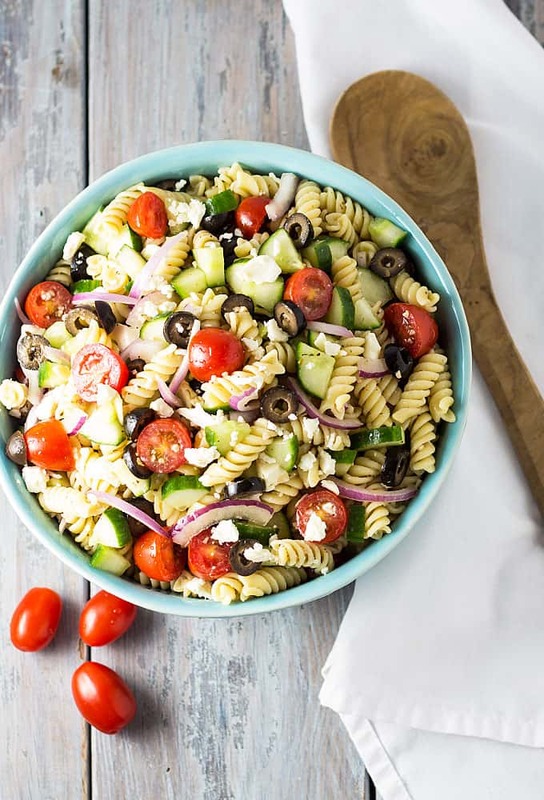 One of my favorite types of salads is a Greek salad, but when I’m craving something heartier I make this Greek Pasta Salad. It’s so easy to make and feeds a crowd! Oh yessss! 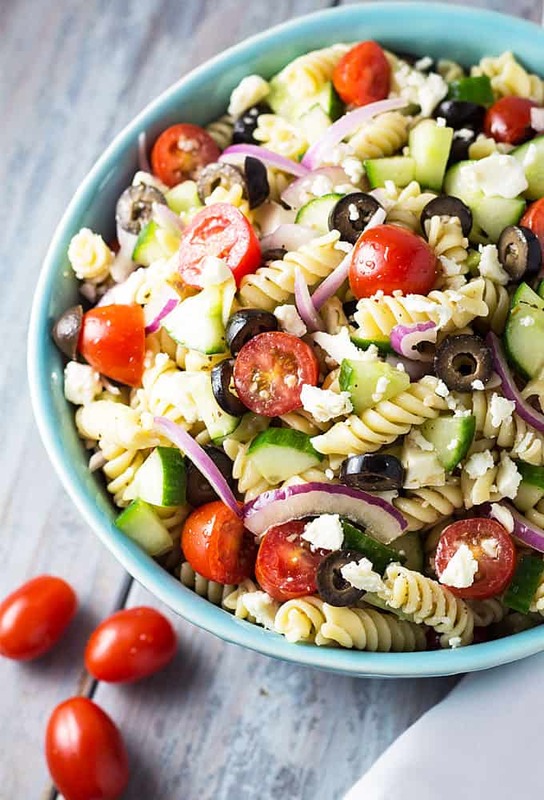 I just can’t tell you enough how much I love this pasta salad. 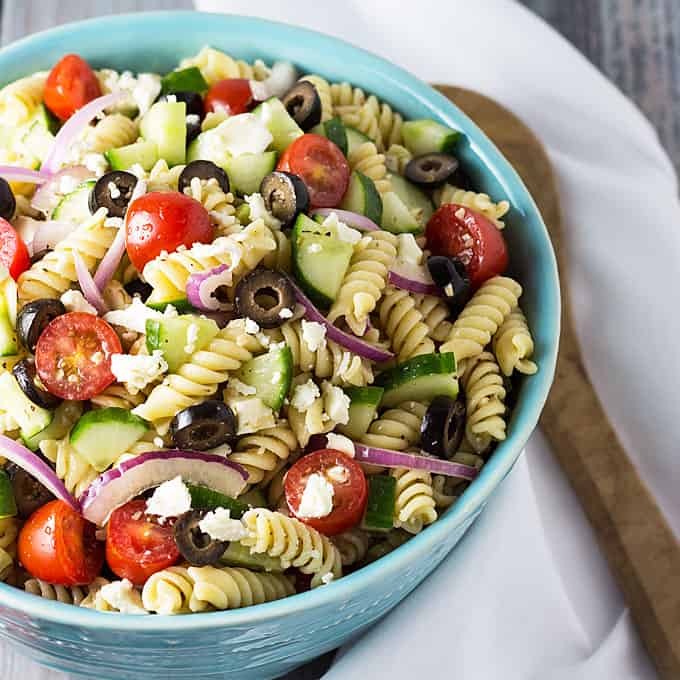 I have to be careful while making it because I love black olives so much, I tend to eat them right out of the can while I’m preparing everything else. 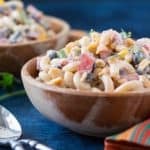 🙂 This pasta salad is loaded with black olives! The vinaigrette is a simple mixture of olive oil, red wine vinegar, garlic, dried oregano, salt and pepper. 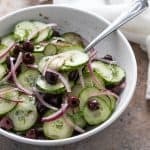 This recipe feeds a crowd (I’d say a good 8-10 servings), so it’s perfect to take to a potluck or a summer cookout with friends. But you can also easily half the recipe if you don’t need that much. 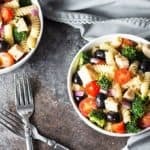 I hope you enjoy this amazing pasta salad as much as I always have! 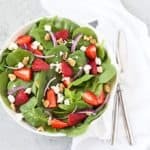 Prepare the vinaigrette by whisking ingredients together in a small bowl to combine. Set aside. 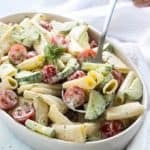 In a large bowl, add all of the pasta ingredients and stir gently to combine. 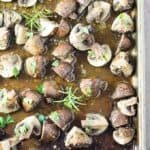 Drizzle with vinaigrette and stir to coat evenly. 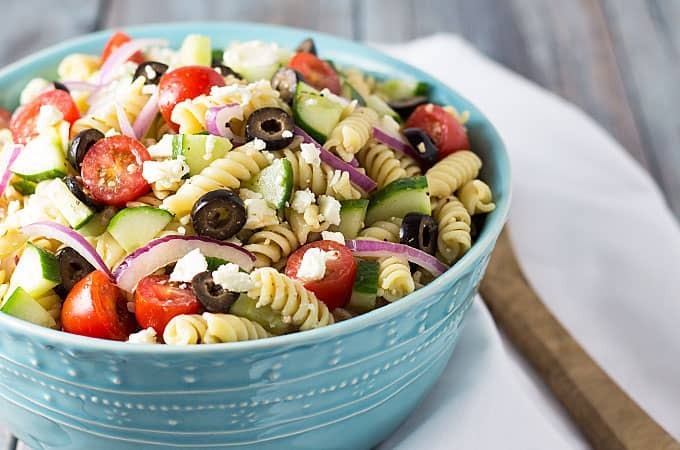 I love how colorful this pasta salad is!!! It looks absolutely delicious! 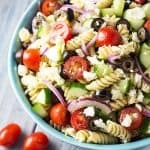 Can I make this Greek pasta salad the night before a BBQ?